Detroit is receiving positive attention for the first time in many years. A combination of corporate reinvestment and entrepreneurial energy is reviving and diversifying the economy in a place that suffered severe financial and population declines, tied largely to its over-dependence on a single industry: automobiles. The Good Food movement is playing a major role in Detroit’s rising reputation as a “comeback city.” New restaurants, food processors, bakeries, urban farms, and other food businesses are helping to stabilize the city and reverse decades of decay and abandonment. 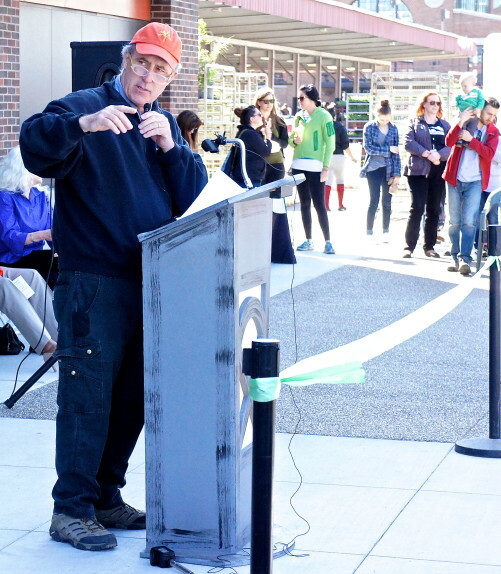 The establishment of a Whole Foods Market store in the Midtown area two years ago drew national notice. 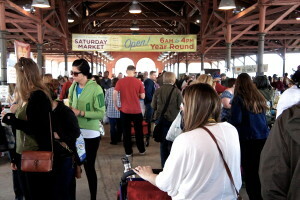 People throng to the weekly Saturday farmers market at Detroit’s Eastern Market, which is open year-round. Yet it is Eastern Market, one of Detroit’s oldest and most historic institutions, that is at the core of these efforts to build a thriving local food system. A terminal and distribution center with its origins in the frontier days of the 1840s, Eastern Market today is the nation’s largest historic public market. It encompasses five large sheds spread across a 4.5-acre district, about a mile from the city’s downtown center. 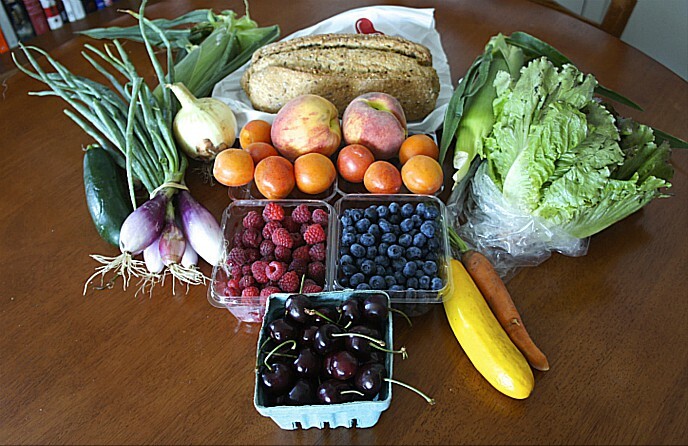 Its weekly, year-round farmers market has long brought tens of thousands of local residents together, across racial and economic lines, in one of the city’s few major public gathering places. 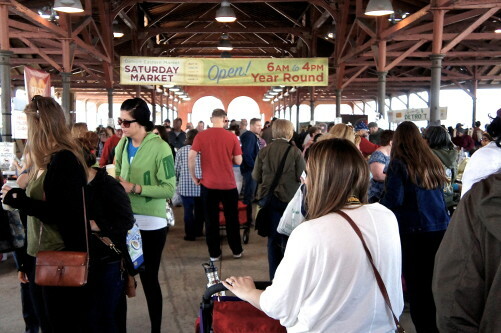 Eastern Market was growing when the city was still spiraling in a deep decline. 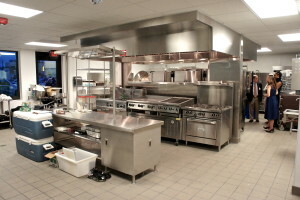 Since it took over control of the facility from the city government in 2006, the Eastern Market Corporation has obtained $16 million in investments from its private sector, public sector, and non-profit partners. 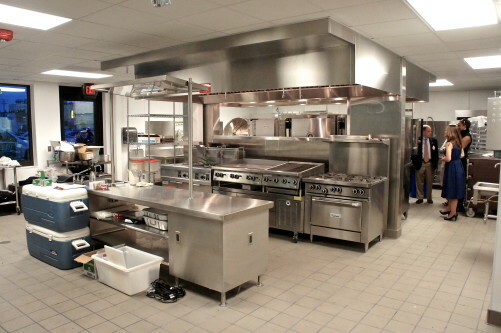 The new community kitchen at Detroit’s Eastern Market will provide fully outfitted, certified facilities for food entrepreneurs who lack the financial resources to buy their own professional equipment. And roughly half that money has gone into its most recently completed project, engineered by Eastern Market Corporation President Dan Carmody, which will further advance its efforts to generate economic energy for Detroit. It is an overhaul of its Shed 5 that includes a community kitchen, providing facilities and resources for budding food entrepreneurs to build their own value-added food businesses. The project was celebrated at a grand opening event in Shed 5 on May 1. 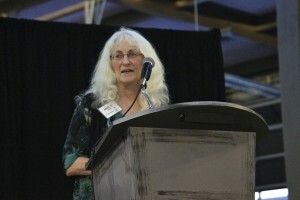 The roster of Eastern Market supporters who spoke included U.S. Sen. Debbie Stabenow of Michigan, who has advocated for the interests of farmers markets, farm and food entrepreneurs, and other Good Food interests as the current ranking Democrat and former chairwoman on the Senate Agriculture Committee. “When we look back on what allowed Detroit and Michigan to grow and flourish beyond our expectations, we are sitting in one of the places that will make that happen,” she concluded. Among participants in the May 1 ceremony at Eastern Market were (front, from left) Linda Jo Doctor of the W.K. Kellogg Foundation, Wendy Lewis Jackson of the Kresge Foundation, Whole Foods Market Co-CEO Walter Robb, and Michigan U.S. Sen. Debbie Stabenow. Dan Carmody, president of Detroit’s Eastern Market Corporation, speaks at a May 2 ribbon-cutting ceremony for the DTE Energy Foundation public plaza adjacent to the market’s newly renovated Shed 5. The ceremony was marked by repeated examples of this kind of mutual admiration among those who led the efforts to bring the project to fruition. Carmody had high praise for the W.K. 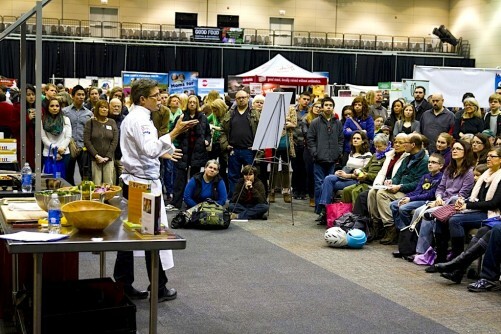 Kellogg Foundation, based across the state in Battle Creek, which has played a landmark role in creating and advancing the concept of a Good Food movement. The W.K. 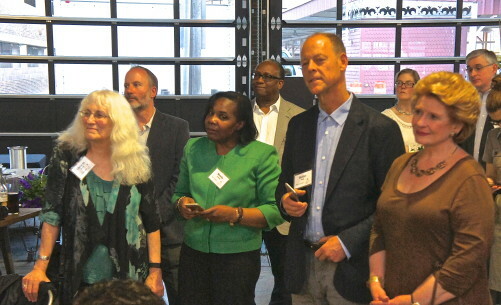 Kellogg Foundation, a leading backer of Detroit’s Eastern Market, was represented at the May 1 community kitchen dedication by program officer Linda Jo Doctor. 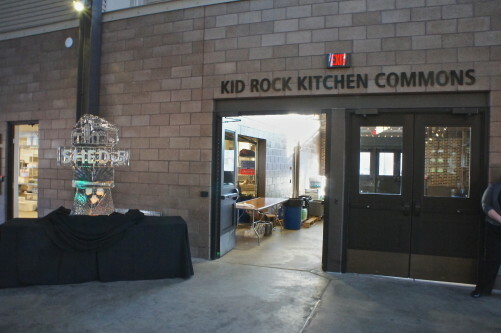 But with all of the prominent business, financial, and political power on the podium at the May 1 event, perhaps the most down-home Detroit flourish was a sign on the wall right next to the new community kitchen that reads, “Kid Rock Kitchen Commons.” Kid Rock (real name: Robert James Ritchie), the gritty pop music star from Detroit, donated the money to build the space, which will be used for community events of up to 60 people. 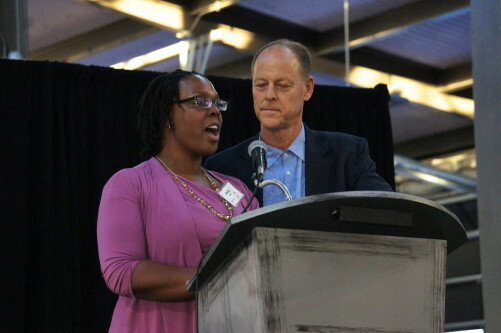 Anika Grose, community kitchen coordinator for Detroit’s Eastern Market, speaks at the May 1 dedication ceremony as Walter Robb, co-CEO of Whole Foods Market, looks on. 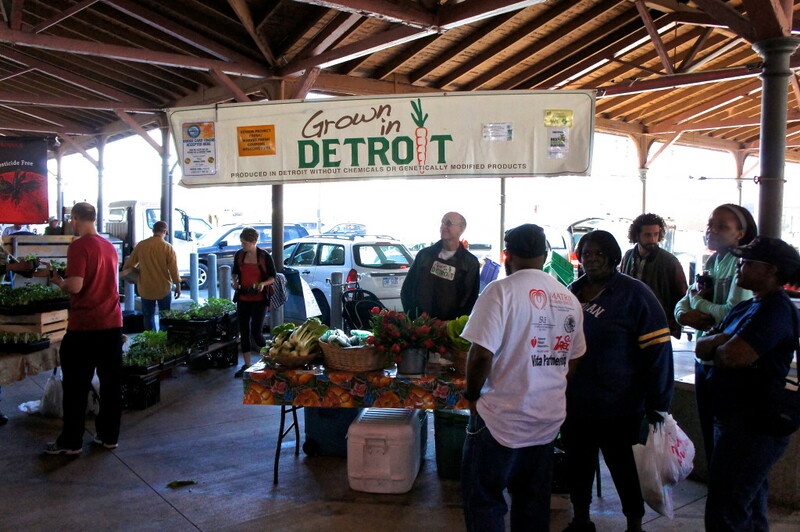 Detroit’s Eastern Market is not limited to products raised in its region, but does have many local vendors, including some participants in the city’s expanding urban farming sector. This entry was posted in Direct Farm Marketing, Farm businesses, Farmers markets, Financing, Food Artisans, Food Entrepreneurs, Food Hubs, Food policy, Good Food business development, Good Food marketing, Good Food Policymaking, Regional food systems, Sustainable food business investment, Sustainable food retailing, Urban farming, Whole Foods Market and tagged community kitchens, Detroit, Detroit economic comeback, Eastern Market Corporation, Eastern Market Detroit, FamilyFarmed, farmers markets, Food entrepreneurship, Good Food economic development, Good Food movement, JPMorgan Chase, Kresge Foundation, The New Economy Initiative, U.S. Senator Debbie Stabenow, W.K. Kellogg Foundation, Walter Robb, Whole Foods Market. Bookmark the permalink.